In February, Congress passed legislation to expand the boundary of the Ocmulgee National Monument, as part of a larger public lands bill (S 47 – the Natural Resources Management Act) affecting over two million acres of our public lands nationwide. This important bill is the biggest piece of conservation legislation passed in years and has now been signed by President Trump. In middle Georgia, this achievement caps almost five years of concerted effort, over four separate Congresses, to enact the Ocmulgee legislation into law. This legislative odyssey brought together many constituencies in both Georgia and Oklahoma, including the Muscogee (Creek) Nation and several other tribal governments. It also inspired bipartisan cooperation by local, state, and national elected officials. The Ocmulgee River is a special place, unique in the southeast. It was once home to the ancient Mississippian civilization and their descendants the historical Creek people. This area is recognized as one of America’s most important archaeological landscapes. The Ocmulgee was also an important waypoint in the expansion of the eastern frontier, marked by all of the tragedy and triumph of that early period in America’s history. Today it is a critical migratory flyway and wildlife habitat, home to middle Georgia’s own black bear population and the largest block of forested habitat remaining in the upper coastal plain. A great debt of gratitude is owed to Senators Johnny Isakson and David Perdue, as well as Congressmen Sanford Bishop and Austin Scott, for their leadership and perseverance in building the necessary consensus to advance this bill through Congress. The new law does three things. First, the boundary of the park will be adjusted to include additional Native American cultural sites not protected at the park’s creation in the 1930s. 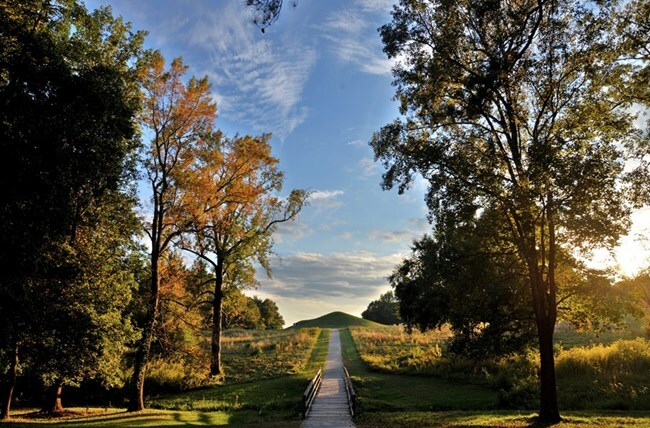 Second, it elevates the park’s status by changing the Ocmulgee National Monument into a National Historical Park, enhancing its visibility as a tourism destination. Third, it looks to the future by authorizing a study of the river corridor to examine ways that middle Georgia might best safeguard, promote, and benefit from the river’s many unique and irreplaceable natural and historical features and existing public lands. What role might the Ocmulgee River play in the economic health, quality of life, and regional identity of middle Georgia over the next 50 or 75 years? In 2017, a report entitled Diamond in the Rough (https://www.npca.org/resources/3189-diamond-in-the-rough) was released by the National Parks Conservation Association, with generous support from the Knight Foundation, demonstrating that existing public lands along the river have a much greater potential value to the recreation and tourism economy than is currently being achieved. The Ocmulgee National Monument is already the region’s largest visitor attraction, with room for growth, soon to be realized by passage of this bill. Add to that the visitation potential of the Bond Swamp National Wildlife Refuge and the state’s Wildlife Management Areas and the cumulative effect could be magnified even further. And there is yet another opportunity that awaits to be harnessed. In December of 2017, the Department of Defense designated a large swath of Georgia, from Fort Benning in the west to Fort Stewart in the east, including a total of nine military installations, as part of the nation’s Sentinel Landscape program (http://www.sentinellandscapes.org/about/). This initiative is a collaboration with the Departments of Interior and Agriculture to sustain military readiness and protect working lands and important wildlife habitats near military bases from fragmentation, development encroachment, and land use changes that are incompatible with military preparedness and mission capabilities. In the middle of this Sentinel Landscape sits Robins Air Force Base and the Ocmulgee River, both of which have the potential to play a larger role in the initiative. Such a larger role could strengthen RAFB’s standing in a future BRAC process, in competition with bases that are not active players in the Sentinel initiative. It could also integrate and align with the Ocmulgee legislation’s authorized study of the river corridor, as well as existing state priorities from Georgia’s Wildlife Action Plan, Forest Action Plan, Comprehensive Outdoor Recreation Plan, and revised Black Bear Management Plan, thereby strengthening many important regional assets at once. Realizing the benefits of these interconnected opportunities will ultimately depend on the vision and initiative of local communities and their leaders. One thing is for sure -- we have Congressmen Bishop and Scott, and Senators Isakson and Perdue, to thank for expanding the size and economic impact of the Ocmulgee Mounds National Historical Park and for allowing the conversation about the future of the Ocmulgee to continue. Brian Adams is president of the Ocmulgee National Park & Preserve Initiative. Charles McMillan is the Coastal Director for the Georgia Conservancy. Chris Watson is senior program manager for the southeast region of the National Parks Conservation Association.